Mako and Chiko are the sisters of Super Seisyun Brothers Mao and Chika. Despite the title, Mao and Chika aren't actually brothers... well they're brothers, but not brothers to each other. So basically the title "Super Seisyun Brothers" doesn't really make any sense, especially considering the show focuses more on the two sisters (who aren't sisters). 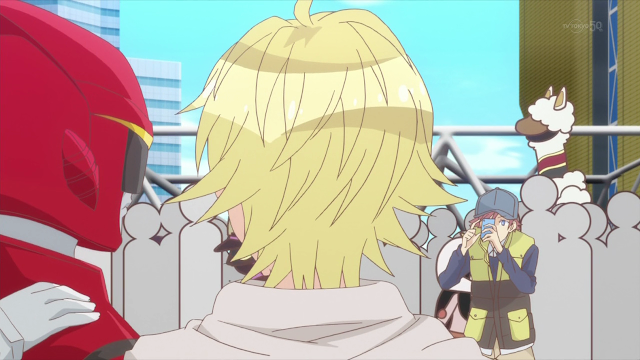 During the Comiket episode we can see an obligatory alpaca in the background. It's like they say: You can't have a good convention without someone dressed like an even-toed hoofed mammal.